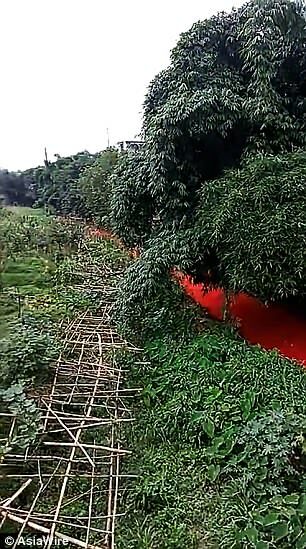 Residents in a city in south-west China have been left stunned after their local river, the Xiangbi River, mysteriously turned blood red. The residents filmed the unusual scene which shows bright-hued water flowing as far as the eye could see. Local officials later claimed the phenomenon had been caused by paint leaked from a packaging factory. Blood red water flows in Chinese River. Video of the polluted river emerged showing the bright red water running through Xiangbi River in Cuiping district, Yibin city, in Sichuan Province on June 28, 2018. 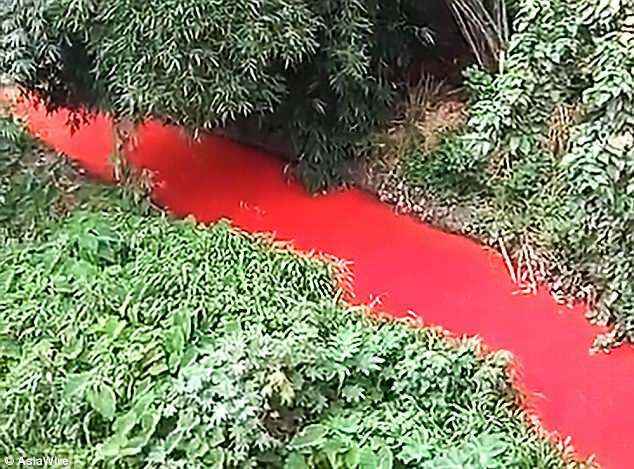 According to Chengdu Business Daily, workers from a packaging factory had accidentally spilled the colour paint into the river and turned it into bright red colour during a cleaning operation. The colour paint was said to be a water-based glaze that was non-poisonous and non-harmful to humans, animals or poultry, claimed a worker at the factory. 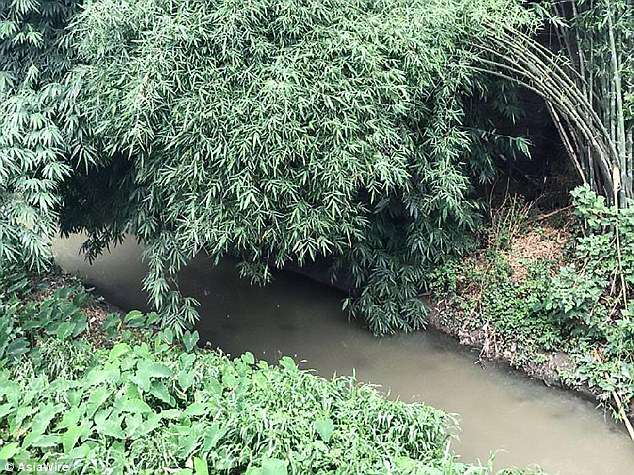 Cuiping district government officials and local environmental bureau officers launched investigations and identified the severity of the pollution. Officials set up three dams at different sections of the river to block and filter the dyed water. The river has returned to its original colour before it flows further down the stream. It is known that Xiangbi River is not a source of drinking water to local residents. Local environmental bureau will collect samples of the polluted water to compare with the evidence collected from the packaging factory. The factory will face penalties according to the test results.